England - Midlands, (South). Sheet 8, R.A.F. Edition dated 1938. 1/4" to 1 mile. Linen backed paper with card covers. Approximately 75 x 53cm. 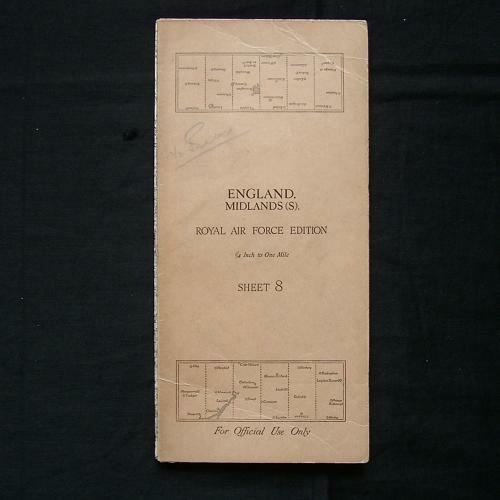 Shows wartime air bases operational at the time including Castle Bromwich, Pershore, Sywell, Upper Heyford, Brize Norton, Witney etc. Folded/creased. Light soiling. Very good used. Stock code P20650.